- Melt the nutella in a pan on low heat, or in the microwave. Mix with the milk and chopped walnuts. 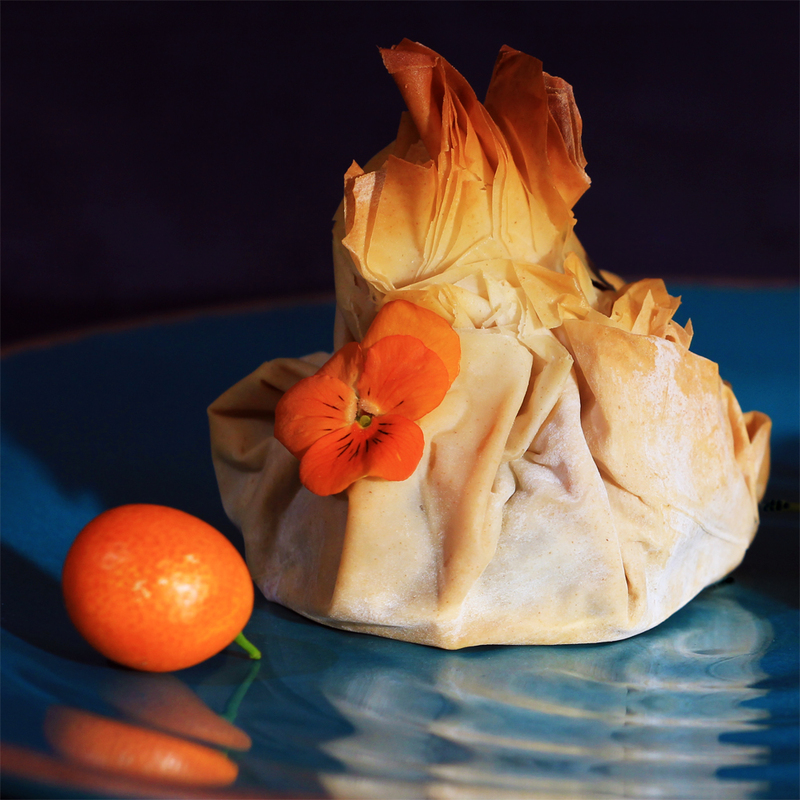 - Place about 5-6 phyllo dough pastry sheets on a plate. Add about 2 spoons of the nutella mixture in the middle of the pastry rectangle. Lift the corners of the pastry rectangle, and have them all meet on top of the chocolate. Then roll them around. Make sure there is no space for the chocolate to drop out of the pastry. Repeat for each kiss you want to prepare. - Place a cooking sheet on a large baking pan. Place the chocolate lava kisses on the pan. - Cook at 425F for 25-30 minutes. Serve soon after. - Make sure you don't break the pastry when removing from the oven - it is much better when the guest cracks the pastry with a fork, and the chocolate starts flowing out. - Serve next to ice cream and/or fruits. Further decorate with powder sugar and/or mint leaves, as desired.